If you’re thinking about travelling out to the remote reaches of Australia, it is important to know that these parts of the country can be quite traditional and sometimes conservative. Whether you are a tourist or looking to work, outback Australia has its own set of cultures and customs and it is important to be respectful and open minded. If you are meeting the locals or starting a farm job, it pays to be prepared! Follow these tips to help you get ahead of the game when making that crucial first impression count. In general, it is always good to remove your hat and boots when heading indoors. This is especially important if you are sitting down to a meal, and signifies your respect towards your hosts and the people who have taken the time to cook your food. Whilst the much-travelled parts of populated/city areas along the east coast are very accommodating with dietary requirements, really rural parts of Australia can often be limited with supplies. Many farms are self-sufficient and grow their own produce and breed livestock for consumption as well as sale. Remember that food is precious, often scarce and at times, certain items can be difficult to come by. It pays not to be ‘picky’ about your food and eat what you are given. It is encouraged to be flexible with dietary requirements (e.g veganism, vegetarianism, celiac, lactose intolerant) as it can be difficult to accommodate these needs. Following on from this, wastage is a huge concern in rural Australia. This comes down to fuel, food, farm supplies and even time! This is because of all of these things are precious, expensive and difficult to access in remote areas. In the case of food for example, it is worth bearing in mind to never take more than you need in your first serving. Any scraps that cannot be consumed by humans will often go to feed the dogs, chickens, pigs and other livestock so remember to note which bin you need to scrape your plate into! Australians are more water conscious than much of the rest of the world as there is a huge shortage. This is one of the reasons there are less people in Australia; the country simply could not sustain a dense population. Rain tanks and bore (underground) water is widely used in rural Australia and in times of drought, water may have to be purchased from local towns. It is good to be aware of this and adjust your usage accordingly. Try to cut your shower time right down, always turn off the tap when brushing your teeth and only fill the sink to a necessary minimum for washing up. Sometimes the employers that you will be working for may come across a bit rude or abrupt, this is because they are working under pressure. There is an urgency in farm work ‘to get stuff done’ before things such as impending rain, drought, or cattle sales. Often the work is non-stop until the goal is achieved due to this time limit. It is important to not to take any abrupt conversations to heart and to always be polite in return. This is a cultural difference that you may not have experienced before. British people in particular are known for being a very polite nation. This does not mean to say you should lose your manners, but just bear it in mind when you are working with Australians under pressure! 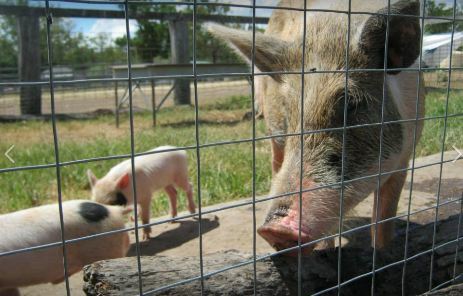 Outback Australia’s main source of income is the meat industry and all livestock will be growing towards that purpose. You must be prepared to acknowledge that animals are often only bred for work purposes and profit. Dogs are often working dogs, not pets and horses used for the purpose of mustering or bred to be sold. 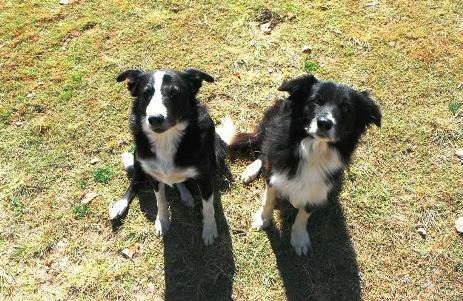 Sometimes properties will have working dogs and pet dogs and they will be treated very differently. Hunting and shooting of pest species such as kangaroos, pigs and dingoes is common and you must be aware of this if it is something that you are sensitive to. 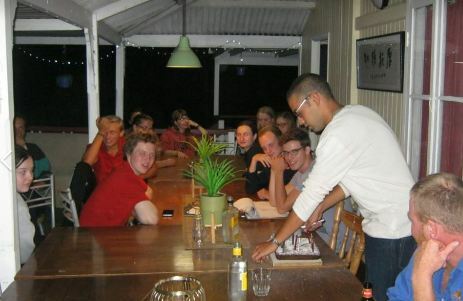 It is not custom to tip in Australia although it is expected in some places in the bigger cities where there are lots of tourists. Assess the situation and if you think that you have had exceptional service then tipping is the right thing to do. 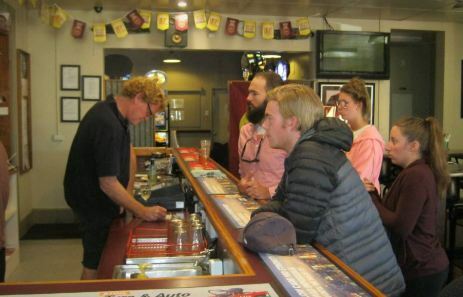 In outback Australia most people show their gratitude to people running rural services by buying locally where possible- this even comes down to frequenting the local pub as much as possible! If you would like to find out first-hand what it’s like to live, work or travel in rural Australia, then have a look at our fantastic farm work programme. This is available to those between 18-30 and from a country eligible for the reciprocal working holiday visa agreement.